You're here. You totally love film music. What You Will Hear: Woodwinds (great bassoon and bass clarinet), guitar, piano, and drum kit. Will You Be Humming Along? The main theme is quirky and will stick with you (as much for the melody as for the instrumentation). Will I come back to it? 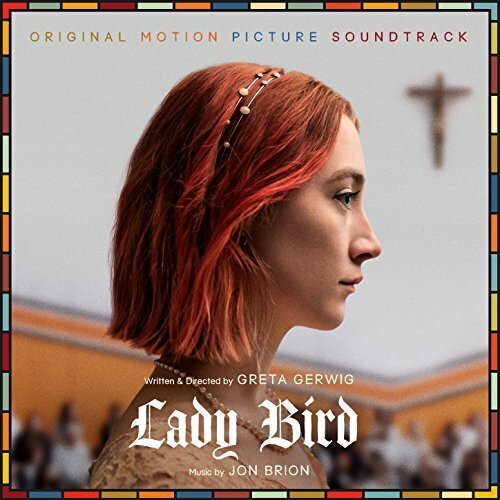 My response, like many of the tracks on Lady Bird, will be short: Yes. This is perfect quirkiness. At the start, you’ll enjoy a peppy rock feel (see: Title Credits). It is the next two tracks, however, that introduce us to the true identity of the score (see: Sign Up, Drive Home). The two triplet motifs featured on these tracks show up often and help tie everything together. But, it is the instrumentation that is the heart of Lady Bird. Like the main character, it is always enjoyable but never settled (see: Summer in Sacramento). From start to finish, John Brion has created a beautifully simple conversation between the woodwinds, piano, and guitar. It isn’t flashy, and it’s perfect that way.